Picture from this web site. The southern most tip of Africa. 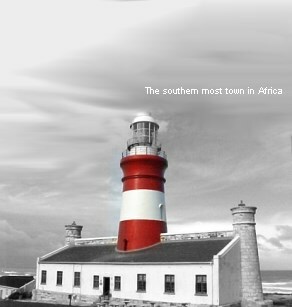 On the Western Cape's south coast there are coastal towns like Hermanus, Gansbaai, Struisbaai and Arniston. Sebz Pncr Gbja, gnxr gur A2 gbjneqf Pnyrqba. Ng Pnyrqba, yrnir gur angvbany ebnq naq qevir gbjneqf Oerqnfqbec. Ng Oerqnfqbec gnxr gur ebnq gb Fgehvfonnv naq Pncr Nthyunf. Gur pnpur vf 25 zrgref fbhgu bs gur qhfgova. Ng gur jnlcbvag vf n ebpxl bhgpebc. Ba gur evtug bs vg (jura ybbxvat ng gur frn) vf na bcravat. Gur pnpur vf cynprq va gur bcravat naq pbirerq ol znal fznyy ebpxf.